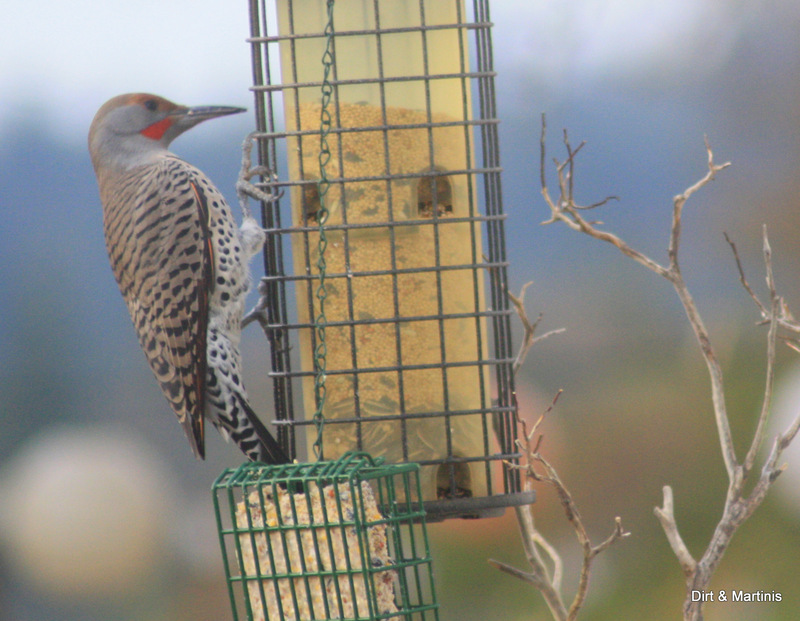 The red-shafted flicker woodpecker in my garden. Now that the temperatures are starting to drop and a lot of the work has come to a hault in my garden, I’ve turned my attention to attracting feathered critters into my landscape with the use of bird feeders. Birdwatching may sound mundane and boring but once you start attracting birds into your cold weather garden it is far from dull and is often called a free ticket to the theater of nature. Once you add fresh water and some bird seed you are guaranteed to always have a show. The birds won’t miss the meat and your kitties will love to watch the action! Melt peanut butter and shortening in a large pot. Stir in flour and cornmeal. Turn dough onto a waxed paper lined 13×9″ pan. Cut into rectangles for use in a suet feeder. Suet can be stored in a freezer. Here’s another easy project that I’m going to try soon. 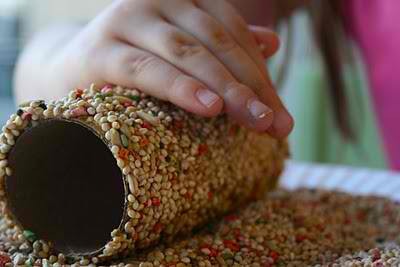 All you need is a toilet paper roll, some peanut butter and bird seed! Easy right? I’m sure the birds will love it. I hope these recipes and tips have inspired you to attract birds to your fall and winter garden. What birds to you attract to your yard in the colder months? I’d love to hear from you and even see photos. You can share them with over on my Facebook page or via Twitter. Tweet tweet! Thanks for the clever winter bird food recipes. 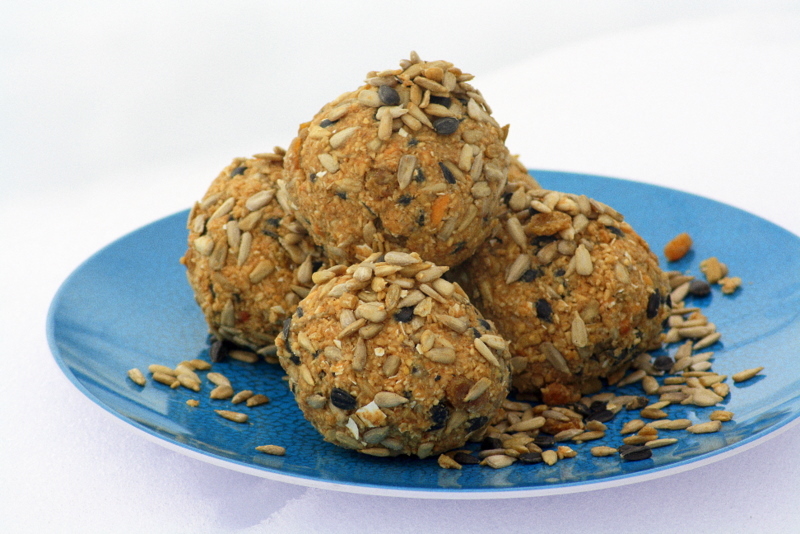 I am tempted by the seed balls w/ peanut butter, yum! Hello Kathy! It’s funny you say “yum” with the peanut butter ball recipe because they smell good enough for human consumption, however, I would not suggest it, haha! Yes, please share the birds that are visiting your garden this winter. I’m doing research myself on some little feathered that keep showing up at my feeders. Thanks so much for the link back to our blog:). Pingback: How To Get Birds To Visit Your Bird Feeder « Can You Be Sure…. We have the pleasure of a pair of pileated woodpeckers in our woods in Connecticut, USA. Big beautiful birds with a brilliant red head.